Are there any additional steps required for an upgrade to V2? You need to run the database migrations. You should see migrations run and complete, and then the web interface will be unlocked. I didn’t found this information on the documentation. I am having the same issue after upgrading to v2. I am running xibo with docker on ubuntu 16.04. When i go to my /opt/xibo directory where i have it installed and try to run the “php vendor/bin/phinx migrate” when i try to run this it says that it could not open the file vendor/bin/phins. Any help? With Docker the migrations are run for you. You don’t need to run them manually. If you get the logs from the cms-web container (docker-compose logs -f cms-web) you should see them having been run - or still running potentially - together with any errors. So far it has taken almost 20 hours. Should it be taking this long? I can post the log out put. cms-web_1 mysqldump: Got Error 1146 “table ‘cms.lktagedisplaygroup’ doesn’t exist when using LOCK TABLES” is the only error that it shows. Please hep me out in fixing this? It shouldn’t take 20 hours no. Please post the complete logs for the cms-web container, redacting anything sensitive and I will take a look. So for the first error from mysqldump, I would assume you have a crashed or missing table. Did someone perhaps delete the idb file for that table from the shared/db folder? Beyond that, the migrations fail saying that there is already a column “isDisplayNotification”. That should only happen if you’ve previously run upgrades in 1.8 that failed or partially completed. To resolve, you’d need to fix the error with the missing table first. Once that is corrected, you’ll need to initially remove the column shown from the database and that should allow the migration to run. in the shared/db/cms folder i can see both the .frm and the .idb files for the the table in question. as for the isDisplayNotification error there was an error with the database the last time we upgraded. We had to restore the db from an older backup. Also looking at the backup we have of the old database the iktagdisplaygroup.idb or iktagdisplagroup.frm do not exist. If the files are there, then perhaps the table is crashed. You could try repairing the table first. Can you recommend anything else to run? or how to go about repairing the table from there? You would need to use MySQL’s own routines to repair the table, or in the worst case drop it and recreate it based on the schema for the version of 1.8 that you are trying to upgrade from. What directory is the actual db? I am trying to do the repairs and mysql is having trouble locating where the database and tables are. Inside the container, it’s in the MySQL default (/var/lib/mysql). You shouldn’t be trying to repair it from outside. 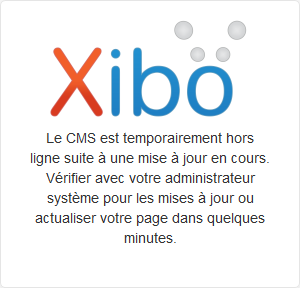 If i am in there there is no trace of any database relating to xibo. Then either you’re using an external database rather than the one provided by the containers, or you’re not inside the MySQL container. If there’s corruption in your database, and it seems there is, then if you want us to look at it we may be able to do so on a paid basis. Otherwise I can only really offer you general guidance. If you aren’t able to make it work, I’d suggest rolling back to your pre-upgrade backup and checking the status of the tables in the database at that point.